Do you want a Data Entry and Web Research professional to work for you? If YES, then you are in the right Hourlie. 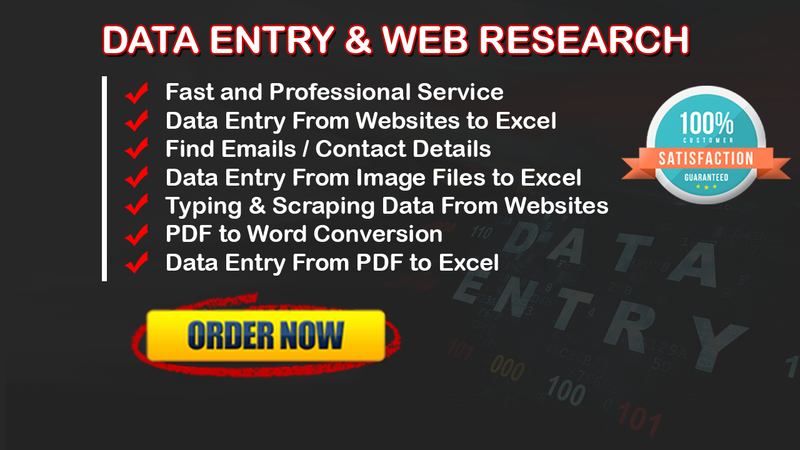 I will work for you as a data entry and web research professional for 2 Hours. My WPM is 40+ in English. ✓ Web Research to find your targeted information. ★★★ So, why you are waiting for? Order Now and relax when we are working for you. Give me a clear instruction and brief describing the required format for delivery of the completed work and any other pertinent information. Very professional. I was constantly kept up to date regarding progress; our project was a little more complex than "just" data entry. Will be sending more projects this way! Thanks a lot for your awesome review. Looks forward to getting more orders from you. Highly competent job, did extra research - very helpful. Thanks for your awesome review. Nuruddin worked very on my project providing me with the content that I requested. He also provided me with updates of his progress along the way. Thanks for your awesome review. I hope it will help me to grow my career. Excellent work by Nuruddin. Looks forward to provide more task to him. Highly recommended.